2014 Mar 30 Reported by Apple Daily about HKTDC Electronic Event ' Press Conference at Hong Kong Convention And Exhibition Centre 灣仔會展. 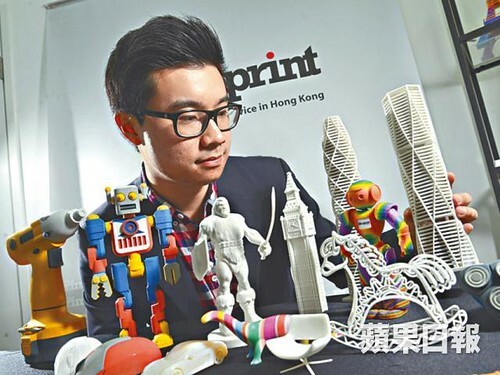 2014 Mar 27 HK3DPrint was invited to share 3D Printing services at HKTDC Events ' Press Conference at Hong Kong Convention And Exhibition Centre 灣仔會展. printing materials include ABS-M30, polycarbonate, etc.